This monument was conceived of by a group of Veterans to create five 8 X 10 foot oil paintings—depicting each of the five branches of the US military and installed in the Committal Hall of the Minnesota State Veterans Cemetery north of Little Falls, MN. The Army, Navy, and Coast Guard and Marine Corps are installed, and Air Force will complete the Monument in 2019. Unique to this monument is that each painting visually conveys the history and stories of the men and women of each branch. There is nothing else like these. Each painting is created by artist Charles Kapsner, and uses live models who come to the artist’s studio, pose in period military uniforms, and incorporates historical elements. Each takes approximately 12-18 months from beginning to end to complete. They are about the Veterans who serve our country. It is their story. The project is privately funded by Veterans and non-Veterans, businesses, individuals, etc. Beyond being a monument to our nation’s men and women who serve, the paintings serve as an educational tool to help future generations understand our history and the vital role our military plays in maintaining our freedom and democracy. 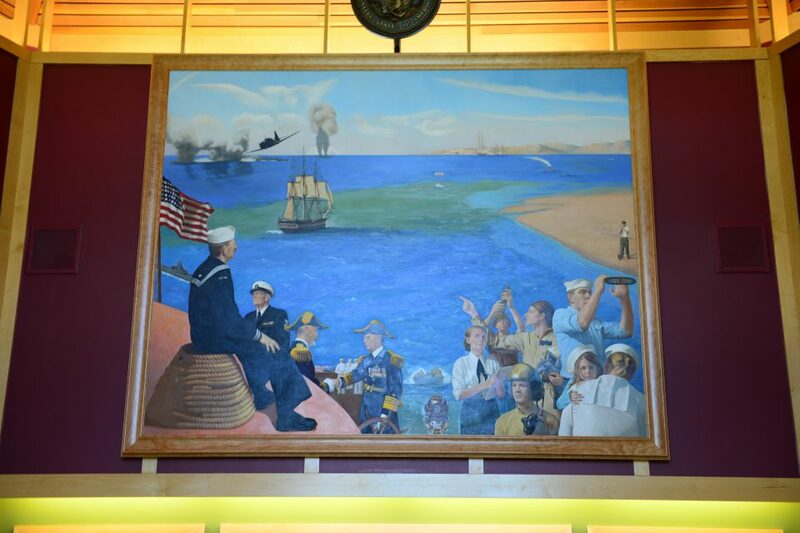 When the project is completed there will be five paintings in the hall representing the American history of the Army, Navy, Marines, Air Force, and Coast Guard with homage to the Merchant Marine.